The SECRET WEAPON in your battle to DITCH THE BELLY! Shakeology is going to make you Feel Better, help Reduce Cravings, and give you More Energy! Get your blender out of the closet and keep it out! Shakeology is the secret ingredient to acheiving and maintaining your body’s ideal weight and nutrient balance. Shakeology is not just a protein shake – it is so much more. Shakeology is a superfood packed nutrient rich meal replacement shake. Beachbody’s nutrition experts searched the world over for the absolute best ingredients for this amazing shake. It is physically impossible to purchase, prepare and eat all of the healthy stuff that you’ll get in just one serving of Shakeology. 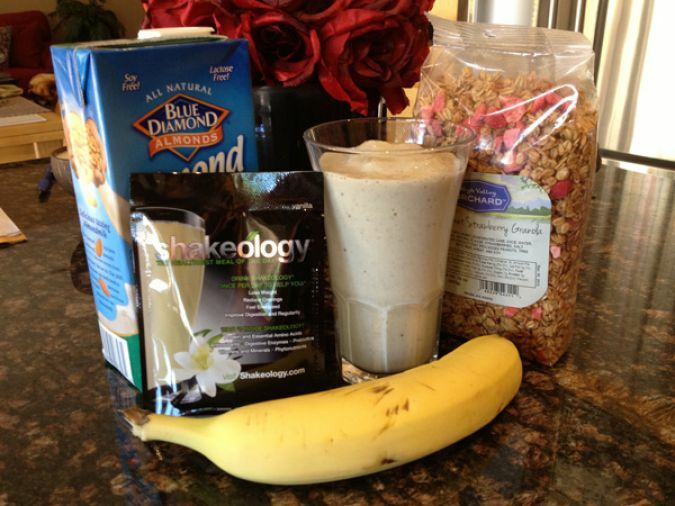 By replacing one meal per day with Shakeology, you will provide your body with a whole bunch of what its been missing. Best of all, it tastes AMAZING and there are HUNDREDS of recipes to customize your shake to your liking. Shakeology is available in vegan chocolate and tropical strawberry, as well as non-vegan chocolate, vanilla, strawberry and greenberry. Where do you get Shakeology? You can only get it through your Team Beachbody Coach. So make one of us your coach, then set up your free Team Beachbody account, and order yours today. If you need help, just contact us and we’ll help you with your order. With a “bottom of the bag” guarantee, you can’t lose. If you don’t like it, or if you don’t see the results your expect, you can return the empty bag and receive a full refund! 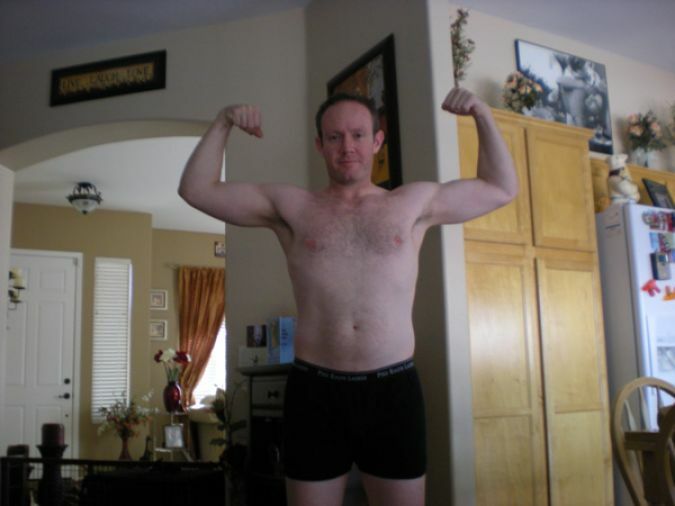 I did P90X three times, back to back, over the better part of a year and saw amazing results. I didn’t think my results could get any better. 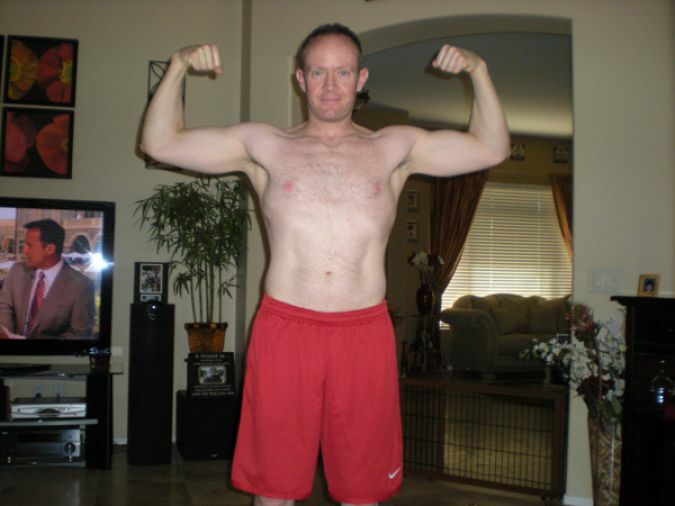 I was in the best shape of my life and weighed in at about 184 pounds. I was happy with those results and felt pretty good. The down side was that I was still drinking about 4-5 cups of coffee every day at work and was still drinking beer on the weekends – I just craved a beer or two on those days when I didn’t work out. My sister, aka Coach Amy, had been bugging me to try Shakeology. By “bugging me” I mean every time we spoke, or emailed, she would bring it up. I finally gave in. My sister and I set a start date for P90X2. We were going to do it together and we both agreed that we’d replace one meal per day with Shakeology for the entire 90 day program. I was skeptical, to say the least. I had never believed in “shaking” or “juicing” and thought it was all just hype to sell a product. Boy was I proven WRONG!! Within the first 30 days of using Shakeology I didn’t crave coffee or beer anymore. I realized one day at work that I hadn’t stopped at the convenient store for my coffee all week, and I was just drinking water all day instead. I had great energy without the coffee – actually I had much better energy because there was no crash in the middle of the day anymore. I felt fantastic! I also noticed that I didn’t care about drinking beer on the weekends anymore. It wasn’t a conscious decision, I just didn’t think about beer. I’m sure there were many more benefits from the Sakeology that I didn’t necessarily notice, but for me, those two were enough. 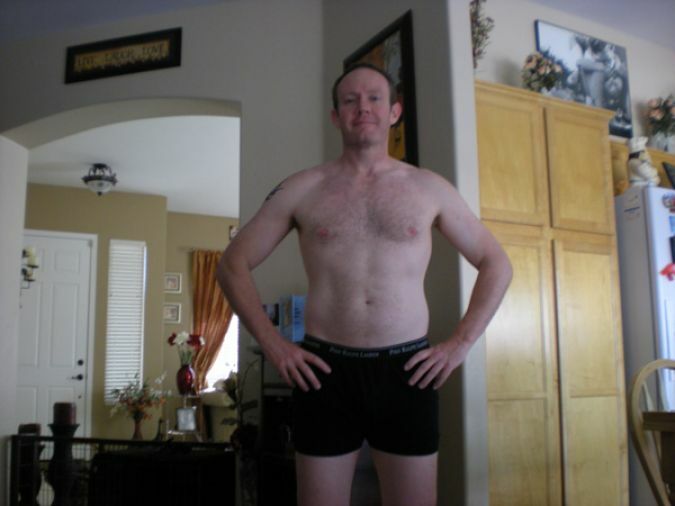 At the end of my 90 days with P90X2 and Shakeology, I weighed in at 174 pounds and had lost that extra ten pounds that I didn’t even think I needed to lose. Needless to say, I knew that I was hooked forever and would never give up my Shakeology! 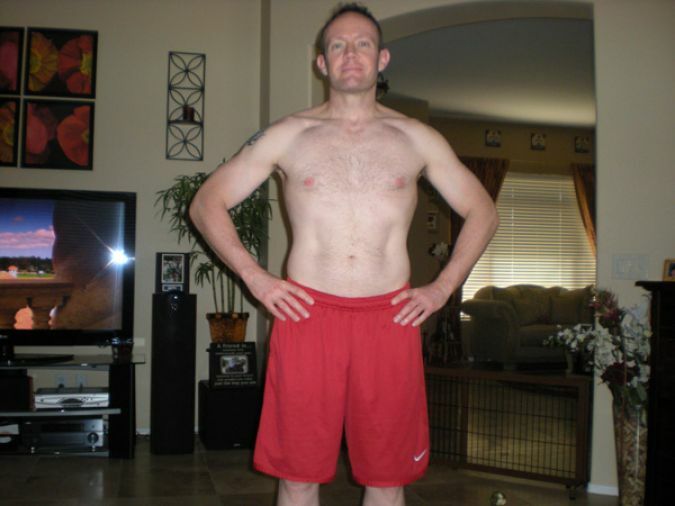 The photos in the black shorts were taken before P90X2 and Shakeology and the photos in the red shorts were taken after my 90 days of P90X2 and Shakeology. The photos in the red shorts, not coincidentally, were also taken on my 40th birthday! I looked younger than I did on my 30th birthday! But don’t take my word for it or anyone else’s – you can try Shakeology for 30 days with a “bottom of the bag” guarantee…if you don’t love it you can get your money back! We recommend drinking Shakeology for breakfast every day for 90 days – even if you don’t necessarily need to lose weight. If you just want to feel better, Shakeology is for you! Trust us, if you try it, your body won’t ever want to live without it. Order Shakeology in combination with your workout program of choice in a challenge pack today. Need more info? Watch these great videos! do you want to learn more about the science behind shakeology?